paradise on earth is the best way to describe the Maldives. to Grab and Singapore Airlines. entries will win the prize. Book and enjoy your Grab ride. That’s 1 entry to the contest. Good luck! Want to travel more effortlessly? to seamlessly book a Grab ride to the airport to #FlySQ. 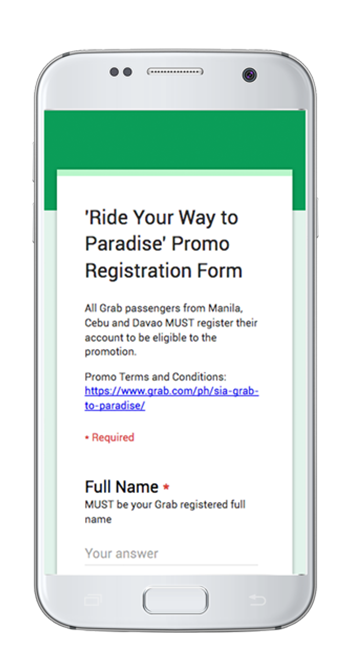 Eligibility: Unless otherwise specified, the promo is open only to persons (i) who are permanent residents of the Philippines (ii) who have an active e-mail account and Internet access prior to the beginning of the promo period ; (iii) who is registered as a rider on the Grab platform in the Philippines and has registered account thru Ride Your Way to Paradise promo registration form (iv) who has taken at least one (1) successful Grab ride with promo code GRABSQ. Promo is valid to all Grab Philippines passengers in Manila, Cebu and Davao. Open the Grab app. Type in your pick up and drop off location. 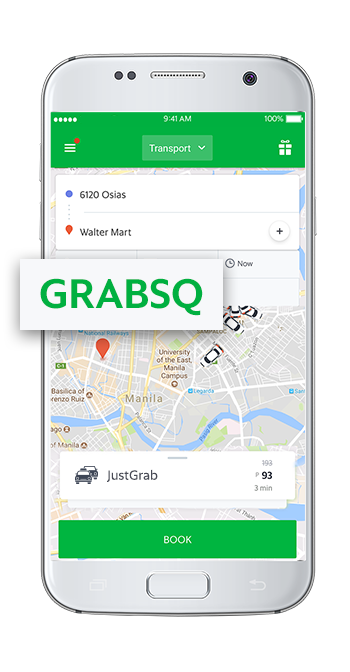 Type in GRABSQ in the promo code field. Click Book. The code GRABSQ does not provide a discount off a ride – it only acts as an entry into the contest. Entries: One (1) completed ride with promo code GRABSQ is equal one (1) promo entry. 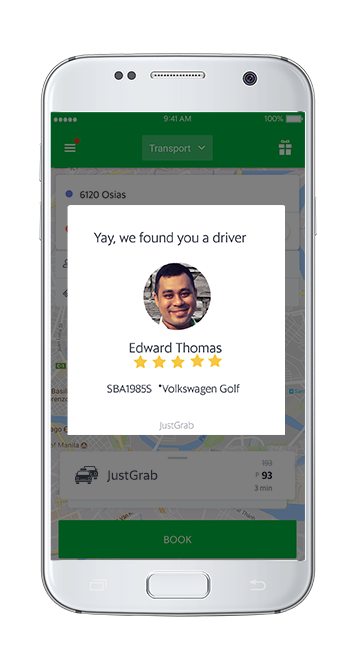 Only those with completed rides with promo code GRABSQ are qualified to the promo. How to Win: Two (2) Grab passengers who get the most number of rides within the promo period and who have registered the same mobile number and e-mail address in the promo registration form will win the promo. Contest Period: Promo will run from 00:00 on October 11 to 11:59 on November 11, 2017. Prize: Two (2) winners will win roundtrip economy class airfare tickets for two (2) to Maldives via Singapore Airlines. Point of travel is from Manila, Cebu or Davao to Maldives and from Maldives to Manila, Cebu or Davao. Prize tax of 20% (applicable to prizes exceeding to PHP10,000) and other fees, if any, as well as any costs incurred in claiming or using the prize shall be shouldered by the winners. Prizes are transferrable but not convertible to cash. 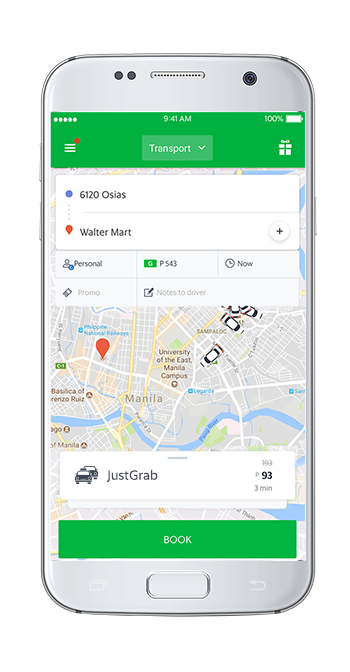 Determination of Winners: Generating the total number of rides of each passenger with promo code GRABSQ and determination of winners is on November 15 (Wednesday), 4:00 PM at the Grab Philippines Head Office at 12/F Wilcon IT Hub, 2251 Chino Roces Ave., Makati City, Philippines. In case of tie, the first two (2) Grab passengers who get the most number of rides based on log time will be the winners. Verification of Winners: Winners will be subject to verification by Grab Philippines to authenticate their qualification to join the promo. Delivery of Prize: Prize may be awarded to alternate winner if unclaimed within 60 days from receipt of registered notice, or if a selected winner otherwise does not comply with the Contest Rules. Grab representative will e-mail the winners a soft copy of prize letter together with an acknowledgement letter. Winners will have to send the acknowledge letter back with a scanned copy of their passport/identification thru e-mail. After verification from Singapore Airlines, winner will have to make payment for their taxes and surcharges. Tickets will now be issued to them. Travel must be completed by 1 year from date where winners are decided. Complimentary tickets not utilized by this date shall become null and void. The Economy Class air tickets are valid for a return flight from any city Singapore Airlines operates in COUNTRY to Maldives, in the designated class (L class) only. The prize ticket has no cash value and does not include all applicable taxes such as excess baggage charges, airport taxes, insurance charges and fuel surcharges. Travel using the pair of Economy Class air tickets is valid on SIA flights only, and the prize winner and the travel companion must travel together on the entire itinerary. The air tickets are not be eligible for mileage accrual and cannot be used with redemption of KrisFlyer miles or any other frequent flyer miles for any upgrade awards. In the event of a downgrading, there will be no refund value to the ticket. Once tickets are issued, they are non-negotiable, non-transferable, non-upgradable and non-refundable, either in part or in whole. Tickets cannot be sold or bartered. Flight/date change may be permitted after flight booking but is subject to usual modification charges. Use of the air tickets is subject to seat availability at the time of reservation or ticket issuance. The aircraft type and schedule is subject to operational changes. Singapore Airlines Limited and its respective directors, employees and assignees, are not liable for any claims arising from the use of prize.